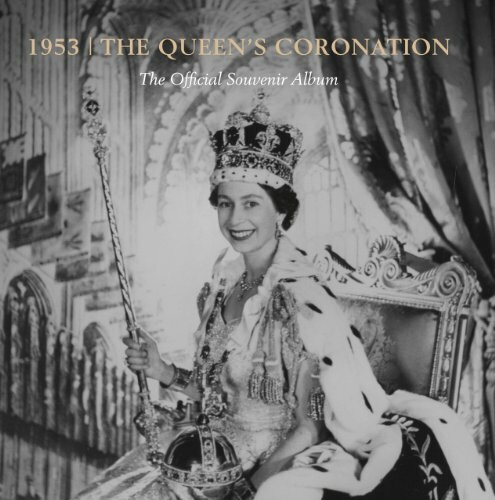 This year's Summer Exhibition at Buckingham Place is entitled 33The Queen's Coronation 1953 33. The exhibition showcases dresses, uniforms and robes worn by Her Majesty Queen Elizabeth II and Members of the Royal Family during the Coronation in 1953. The display recreates the splendour and pageantry of one of the most important historical occasions, through works of art, archive footage and objects used on the day. This is the first time all these items have been shown together since 1953. Princess Elizabeth acceded to the throne on 6th February 1952 and her coronation took place at Westminster Abbey on 2nd June 1953. Thousands of well-wishers surrounded the Victoria Monument in front of Buckingham Place, and thousands more lined the Mall to get a glimpse of the carriage procession as The Gold State Coach conveyed The Queen and HRH The Duke of Edinburgh from the Palace to Westminster Abbey. This exhibition is almost as much about Norman Hartnell (1901-1979) as it is about The Queen and the Coronation. The display explores the relationship between Hartnell and Her Majesty as well as other members of the Royal Family, including Her Majesty Queen Elizabeth The Queen Mother. Hartnell established himself as a royal couturier in 1937 when he designed dresses for the Maids of Honour to Queen Elizabeth, consort of King George VI. As Designer By Appointment to The Queen Mother he designed most of her wardrobe until his death in 1979. Hartnell began creating garments for Princess Elizabeth (the future Queen) in the early 1940s and her wedding dress, created in 1947, was one of the key points of his career. This was followed in 1953 by the Coronation Dress and Robe. Taking several months of painstaking research, the white satin gown required highly skilled workmanship. The Coronation Dress features exquisite embroidery in gold, silver and pastel-coloured silks encrusted with pearls, crystals and sequins. The embroidery shows the floral emblems of the countries of the United Kingdom: the English Tudor rose; the Scots thistle; the Welsh leek and the Irish shamrock. Members of the Commonwealth are represented by the Canadian maple leaf; the Australian wattle; the New Zealand silver fern and the South African protea. India and Ceylon are represented by lotus blossoms and Pakistan by wheat, cotton and jute. The exhibition also features Hartnell's original designs for the dress together with embroidery samples. The Robe of Estate, worn on the return journey from the Abbey to the Palace, is made of purple silk-velvet and is over 6.5 metres long from shoulder to end of train. The robe bears The Queen's crowned cypher and is beautifully embroidered with wheat ears and olive branches symbolising propsperty and peace. The embroidery took 3,500 hours to complete and was executed by the Royal School of Needlework. The Coronation Dress and Robe can be seen in the State portrait by Sir Herbert James Gunn. The installation also includes jewellery worn by Her Majesty on Coronation day. The Diamond Diadem, designed in 1821 by royal goldsmiths Rundell, Bridge and Rundell, was worn on the journey to Westminster Abbey. Originally designed for George IV's coronation in 1821, the Diadem is easily recognised from its frequent appearances on stamps and banknotes. 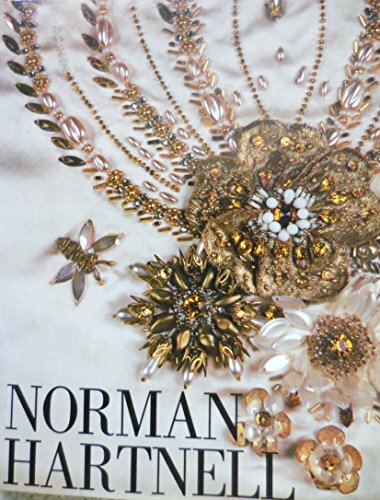 Decorated with more than 1,300 diamonds including a four-carat pale yellow brilliant, the piece incorporates the national emblems of England, Scotland and Ireland. Until about 1837 it was usual for diamonds to be hired for use at coronations so when this piece was created in 1820 it was probable that the diamonds were hired. However, they were never returned to Rundells and there is no evidence that the stones were removed from the crown. It is equally strange to note that there is no sure evidence that King George purchased the diamonds outright. It is thought that the hire charges were covered by an exchange of old stones from George IV's large collection. Worn by Her Majesty when attending the State Opening of Parliament, the Diadem is always in regular use. The exhibition also includes Prince Charles' invitation to Westminster Abbey as well as the outfits worn by Charles and his sister, Princess Anne. The four-year-old Prince Charles wore cream woollen trousers and a cream silk shirt with lace jabot and lace-trimmed cuffs. The outfit was completed by black patent shoes with buckles. Princess Anne wore a cream silk and lace dress with a silk sash and matching ballet pumps. The Princess, aged just two, was considered too young to attend the Coronation ceremony. The Queen's Coronation 1953 is part of the Summer Opening of the State Rooms. The exhibition can be seen from 27th July to 29th September 2013. Tickets and visitor information can be obtained from the Royal Collection.